The Institute has successfully reanimated the body of Bayou Savage from his 200 year quantum suspension. The scientists, beleaguered by a wimpy, arrogant bureaucrat, have no idea of the unholy hell that is following Bayou into the year 2206. The opening of the portal paved an eight-lane highway for the banshees, ghosts and ghouls that spent the last 200 years in an Alcatraz dimension. The prison doors have opened and the miscreant souls are thirsty for blood and revenge. What’s left of the world, from the Religious Wars of 2012, is about to be ravished by the Magi and his hoards from Hades. The only good news is that Leslie Quinn, a formidable psychic, unrestricted by conventional dimensions, has brought Razor Savage, Quirk and Mist to the battlefield. 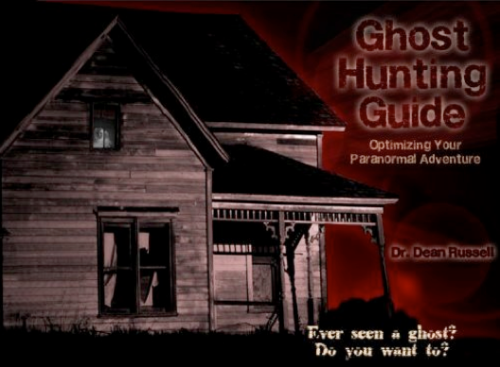 Bayou’s famous ghostfighting father, the first director of The Institute and Bayou’s daughter will be able to lend a hand in the ghost wars that are coming hard and fast on the heels of what appeared to be a harmless experiment in resuscitation. Follow us now into an unknown world of bloodthirsty phantoms, a mystical guitar talisman and the ghost warriors come to save the planet. Will they succeed? 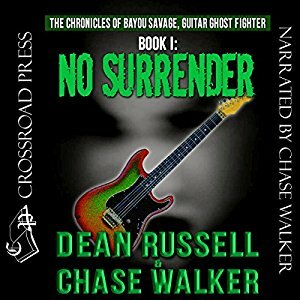 Dean Russell and Chase Walker are authors and musicians attracted to a lifestyle which includes good music, good stories, good food, and better wines. They support their creative efforts with quality consulting and entrepreneurial adventures. 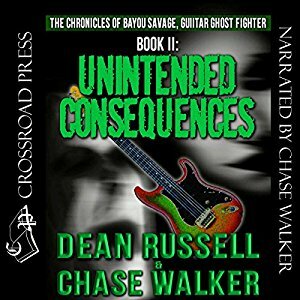 Inauspicious circumstances introduced these kindred spirits a few years ago and a brotherhood began, leading to their collaboration in the Bayou Savage, Guitar Ghostfighter series.